Lady and the Blog → Living → party → Who Needs A New Hula Hoop? I Do! I Do! Who Needs A New Hula Hoop? I Do! I Do! My daughter is the QUEEN of the hula hoop. She is OBSESSED with the activity and when we received one from ‘Tail Spin Hoops‘ she just about lost her marbles. I’m pretty sure if I went into the living room right now I’d find her hula hooping. The girl was born in the wrong era I tell ya! The combinations are limitless as you can customize your own design and they come in two sizes (standard and professional). Natalie is using the professional one even though I thought it was too big for her body. For those of you who are into exercising – hula hooping for 30 minutes will burn an average of 200 calories! So you can actually work out and have fun all at the same time. Get the kids involved and make it a friendly competition. 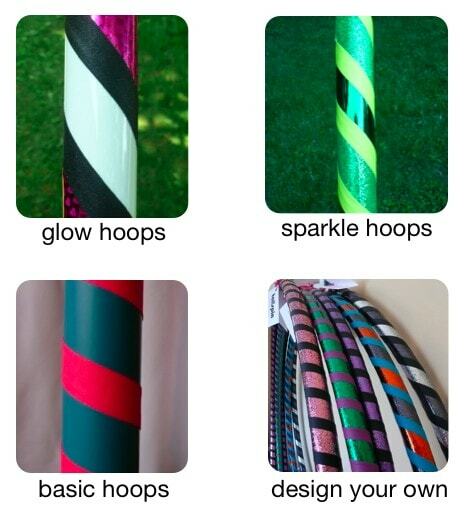 I loved hoola hoop when I was her age !!! This thing is giant !! !